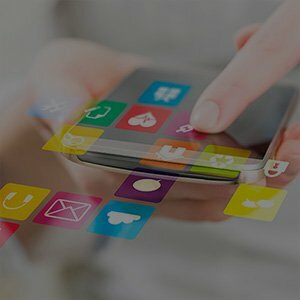 London, UK – 16, February 2017: TerraPay, a mobile-first international payment network, today announced that it has partnered with MoneyTrans, a leading Money Transfer company established in Europe and Africa as well as Paga, Nigeria’s pioneering payments and financial services company to launch cross-border remittances from Spain to mobile wallets in Nigeria. TerraPay, a mobile-first international payment network, has been founded with the vision to send money to any mobile. Based in Netherlands, TerraPay is incubated by Mahindra Comviva, a global leader in delivering mobile financial solutions, and is a part of the USD 18 billion Mahindra Group. TerraPay interconnects mobile wallet schemes, money transfer operators, remittance service providers, financial institutions, and the card associations to create a “one network” for secure and seamless in-border and cross-border movement of funds. The network facilitates a broad transaction set; peer-to-peer transfers, e-payments and government disbursements. TerraPay supports standard open APIs for integration with any regulated remittance services provider. As a regulated financial services network, TerraPay offers services beyond core transactionprocessing, including routing and processing and assumes end-to-end responsibility for regulatory compliance, foreign exchange management and funds settlement. Terrapay Services (UK) Limited is registered and regulated by the Financial Conduct Authority (FCA) in the UK. MoneyTrans started its business operations in 1991 by offering retail foreign exchange services in Spain. Activities grew over the years and were expanded to international money transfer services in 2002.Today MoneyTrans is established in eight European countries as well as in Africa, with a wider international network encompassing over 145,000 locations in more than 90 countries. While MoneyTrans is today recognized as one of the fastest growing remittance companies, itstrive to further expand its global reach by building new partnerships with local agents and reputed financial institutions worldwide. Paga was founded in 2009 with a mission to deliver innovative and universal access to financial services for individuals and businesses across Africa. It is underpinned by a secure payments platform that is built with the flexibility to operate in any environment and on even the most basic mobile phone, keeping users’ finances at their fingertips. Paga enables users to send and receive money, pay bills, buy mobile phone airtime, deposit money to any bank in Nigeria, and more. Paga takes a multi-stakeholder approach to business and partners with banks, telecommunications companies, and other service providers to deliver the services. Commercial and marketing operations launched in 2011 and since then Paga has processed over N363 billion in transaction value while serving over 5.8 million unique customers. As of January 2017, the Paga agent network has grown to over 11,000 agents across 35 states in Nigeria.